*We are unable to ship frozen pet food at this time. Please see our list of stores locations to purchase frozen pet food. Available in 4oz & 8oz packages. 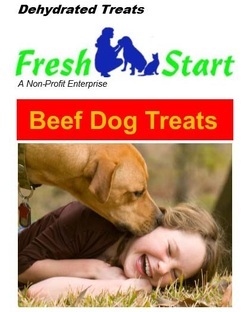 Beef Hearts, Beef Livers, Carrots, Yams, Peas, Blueberries, Fish Oil, Apple Cider Vinegar, Desiccated liver, Norwegian kelp, amino acids and enzymes, imported yeast cultures, flaxseed, lecithin, garlic concentrate, lactobacillus acidophilus, and calcium citrate. The quantities can be feed at one time or half in the morning & evenings, based upon current feeding routine. When introducing new foods gradually decrease current food and increase new foods. Visit veterinarian regularly to maintain your pet’s health. 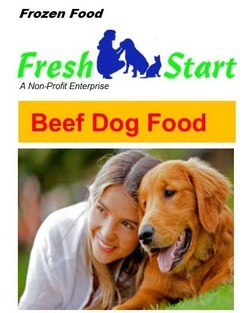 If serving with dry dog food, serve raw in the morning and dry at night. Keep product frozen until ready to serve. Thaw 15-25 min., until soft.